Is the Market Ready for Snapchat’s IPO? Confidence is coming back to U.S. IPO markets. Strong market returns in recent months could encourage some companies to go public. Video messaging giant Snapchat may be one of them. Snapchat is considering an initial public offering (IPO) this year or next, according to market rumors. However, the startup, which struggles to generate revenues, needs to present a compelling investment case to justify its valuation. “IPO investors are very nervous about losing money so they are valuation sensitive,” said Kathleen Smith, founder and chairman of Renaissance Capital, an IPO advisory firm. Snapchat reached a valuation of $18 billion during its last round of private funding in May, making the company one of the most valuable startups in the world. The company generated only $59 million in revenue last year. This year its annual ad revenue is estimated to reach more than $360 million, according to eMarketer, a market research company. 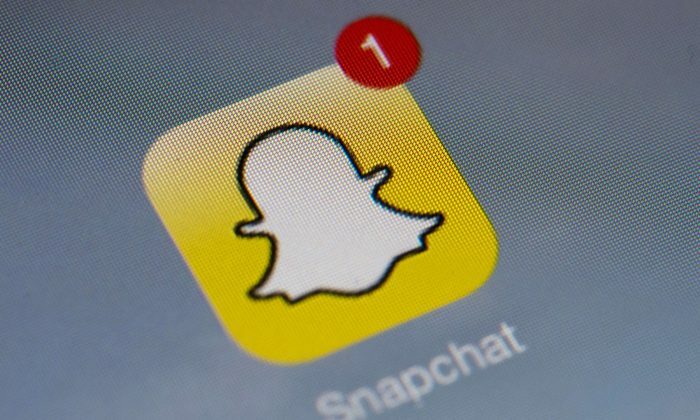 However, the company’s revenue generation is still weak compared to its whopping valuation, so defending its valuation could be a huge challenge for Snapchat if it aims to go public. “[Public market] investors have to understand where this value comes from. … There is a lot of interest in Snapchat. Given the valuations that private investors have put on the company, there must be something there,” Smith said. Snapchat is a popular messaging and social media application that lets users send pictures and videos to one another. The company was founded in 2011 by Evan Spiegel, Bobby Murphy, and Reggie Brown while they were students at Stanford University. Snapchat’s service is entirely free to users but the app makes money from advertisements. The application has become very popular among millennials, reaching 150 million daily users in June, thus surpassing Twitter. In terms of time spent by users, Snapchat became the second favorite app by iPhone users, just behind Facebook. Although the user metrics are impressive, investors are worried about the company’s monetization problem, which may put pressure on its valuation going forward. “The price that Facebook paid for WhatsApp I think just stunned everyone. That was an acquisition made by Facebook that still has not monetized its user base. Only a strategic buyer, not a public investor, would be willing to pay that kind of a price,” said Smith. Facebook acquired WhatsApp for $19 billion in 2014. Snapchat turned down a $3 billion cash acquisition offer from Facebook the same year. “This valuation creates challenges in mergers and acquisitions as well. The bigger the valuation, the harder it is to find an acquirer,” Smith said. The U.S. IPO market has slowed down significantly since the second half of 2015 due to financial market volatility. China’s economic slowdown, low oil prices, and the Brexit spiked volatility in global financial markets and decreased the appetite for new IPOs. As of Sept. 1, the number of companies going public in the United States fell 56 percent compared to last year, according to Renaissance Capital. This is the lowest level of public offerings since 2009. But the IPO market is ready for a pickup in activity, according to Smith. The market began to open up as the newly listed companies’ performance improved. They were attractively priced companies and their returns have recently outperformed the markets, Smith said. “A less active, more discerning market has required quality IPOs to become public at discounted valuations, resulting in an average return of 32 percent, compared to the S&P 500’s year-to-date gain of 6 percent,” states a report by Renaissance Capital. And the last 10 venture capital-backed technology IPOs delivered an average return of 102 percent since January, according to the same report. With improved performance and declining volatility, the number of IPO filings also started to increase at the end of August. “We expect 35–45 IPOs in the remainder of the year, putting 2016 on track for 100 deals raising about $15 billion,” stated the report. The U.S. IPO activity is estimated to be highest in September and October, followed by a slowdown around the election and holiday season. “Markets can absorb big offerings like Snapchat but the question is valuation. … A good company can go public as long as the price is right,” said Smith.